Mértola, Portugal which is a big ole pile of history. 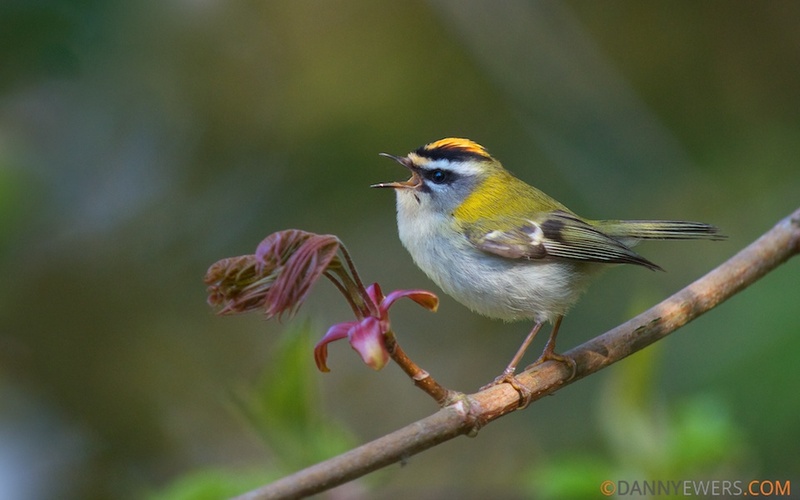 If you need birding tour advice for Portugal, contact Birds and Nature Tours in Portugal. I was excited to test out the WordLens app on my phone. You hold up the camera lens on your phone to a sign and it tries to translate the sign into your preferred language. This was the first Portugese sign I tried it on. Not perfect, but you get the idea of what the sign means. That's my buddy Clay modeling with the sign...he's not really a troll. Partaking in some whole fried eels. Be prepared to eat a LOT of very fresh seafood in Portugal. I think the best thing I ate was the grilled calamari and a lightly and simply battered fish with lemon. If you are not into fish, "wild boar" or "black pig" is an option. If you're a vegetarian...be prepared for omlettes and lots of boiled vegetables. I recently had the opportunity to do some birding in Portugal while I was there for a meeting (it's was incredibly kind of the organizers to schedule birding on top of work). However, this was European style birding which meant we were going to go for as many birds as possible and not really focus on digiscoping. The birds were often far away, this is what my friend Clay describes as "bird spotting" and really reminds me of what I do for some bird surveys. Don't get me wrong, I love the chance to see some new birds and I get that birds are not necessarily the most cooperative of subjects, but the digiscoping opportunities were few and far between and that's what I really enjoy in the field. That's not to say that Portugal didn't have its birding charms. I flew in and out of Lisbon (which constantly reminded me of the movie Casablanca). As we crossed the bridge from Lisbon to Alcochete, I noted large, whitish birds that weren't quite egrets. My buddy Clay was with me and asked, "Hey, Shaz, see the flamingos?" I know flamingos have to be somewhere in the wild, and I saw some far in the distance in Kazakhstan years ago, but I think Out of Africa and various nature documentaries had me believing that Africa is the only place for them, not some European country. Yet, there they were, plain as day in all their comic finery, honking like geese. This was the hallway to our meetings while in Alcochete--I may have walked extra slow. Wrens, blackbirds, robins and warblers chirped while foraging amongst the foliage. Blackbird working the grounds of our bed and breakfast. We held our meetings at the bed and breakfast called Quinta da Paraia das Fontes and the grounds were chock full of common European birds. Through some kind of work miracle, I've managed to be in Europe several times in the last two years and I'm finally getting a handle on the common calls. Crested larks were all over the place and I knew the call right away (it's a three note chirp that to me sounds like their announcing their name, "Crested Lark! Crested Lark!" Two of the coolest birds we saw which were big distractions to the meeting as they foraged outside the windows were firecrest and waxbill. There was no way to digiscope them, but I drank in their presence with my binoculars. Check it out, it's a spotless starling--that's a thing, an actual species to see while in Portugal. One of the birds that amused me most on the hotel grounds was the spotless starling. It looks and sounds like the very common European starling but this time of year that bird shifts plumage to be covered in spots...not the spotless starling. Woo-hoo, life bird! The kitchen where we had lunch during our meetings. The place we stayed in was built in the 16th century and the family still lives in part of the villa. The family still cooks with the stove. This day, our meal was catered and was vegetarian pizza, fresh and lightly battered fish and tomato rice--so tasty. I had to chuckle because the door knob to my room only came up to my knee. I'm short and even I found locking and unlocking my door awkward. After dinner I asked for a Jameson on the rocks. The restaurant set down the bottle, a glass and the ice bucket. This happened at every restaurant where I ordered a whiskey in Portugal. With great power comes great responsibility. Black-tailed godwits, one pied avocet and one black-headed gull. One evening we birded the shores of Atalaya. We had a tip that while the tide was out we could get some good shorebirding in...and we did, we trudged about a mile away from our vehicles, over shallow channels to take in all the birds. We saw several flamingos who were color banded and we took note of the numbers so we could turn them in later. However, while we were enjoying the excellent light and birds, someone from our group radioed to us that the tide was turning and we should think about heading back to the vehicle. When no one moved, he radioed again, "Guys, come back now." We reluctantly packed up our optics and trudged through the mosquito swarms and vegetation to get to the channel...which was now quite deep. As those with longer legs strode ahead of me, I noticed Tim Appleton picking up chunks of wood and then what looked like an ancient sea worn cooler. "Why is he doing that?" When I finally got to the channel, I understood. The lads encouraged me to ride it. I took note of my camera and my iPhone in my various pockets and thought, "No effing way." The guys kept assuring me it would be safe and I said that I'd rather see one of them test out her seaworthy capabilities first. Some of the birders in my group trying to crossing a deep channel in an ancient cooler...that also had a GIGANTIC hairy spider lurking the debris in the bottom. So the lads gave it a go...you might be surprised to learn that the cooler was not a seaworthy craft. I decided that I would put my camera and phone in the cooler and walk across with the cooler. I stepped in, my feet sank deep in the silty muck. I felt a moment of panic of getting stuck and ever the gentleman, Mark Andrews gave me a hand and helped me across. Meanwhile, other men int the group who were not wearing quick dry convertible pants like I was, dropped trou and crossed in their underwear (side note to the lad who said he did this when I wasn't looking, I have excellent peripheral vision). The water that had only been calf deep earlier was now crotch deep on me. But all of my possessions made it across very dry and my pants though reeking of briny water were soon dry as well. All part of the adventures of birding. The autumnal countryside in southeastern Portugal can look rather bleak. 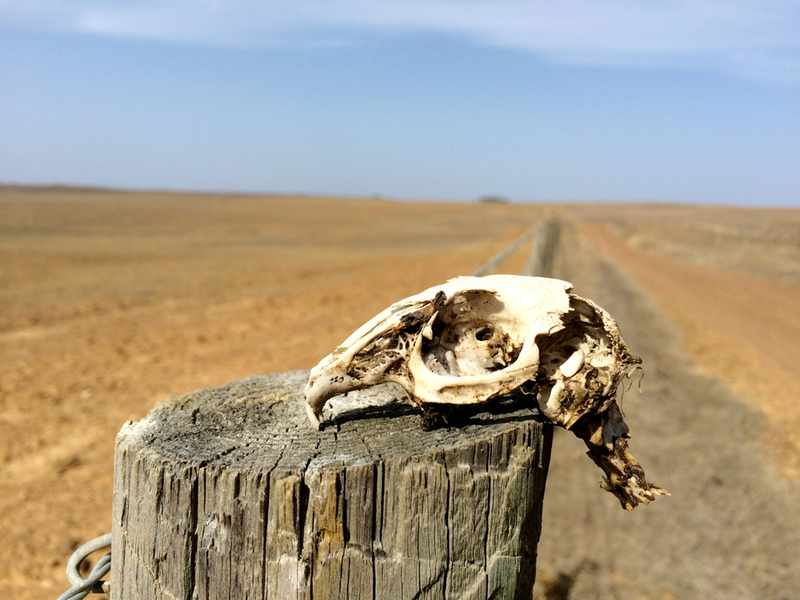 This was a rabbit skull found along a fence line. The back of the skull had a bit of a triangular cut into the skull cavity. I can't help but wonder if an imperial eagle or buzzard are the cause of its demise. After the days of meetings were finished, we headed out for a full day of birding in southeastern Portugal near the border with Spain. It was a bleak countryside during the cusp of September and October. Perhaps in the spring it's a lush landscape, but in the fall, it has a dry beauty. Crested larks surrounded us as we birded. Full disclosure, unlike other bird photos in this post, I digisocped this particular lark in Israel a few years ago. But I love crested larks and wanted to include one in this post. I have to say, birding is quite an elixir for me. The night before we headed out, I tied a few on with some of my fellow participants. We stayed up at the outdoor bar across the road from my hotel until after 3am (a bit to the irritation of bar staff). Our group was meeting at 6am to head out. I slept past my alarm and had to eat breakfast in the car but man o man, I am no longer young enough to pull those sorts of all night shenanigans. But as soon as we got to our destination and the birds kicked in, though far away, I felt better. Nothing clears my head of hangovers, sleep deprivation, anxiety or anything stressful like birds. Birds never disappoint. OK...that's taking it too far, nemesis birds disappoint until you finally see them. Here are my lifer great bustards...very, very distant even digiscoped with my Nikon V1. This is what I would call, "Yeah, life, but better view desired." Those aren't chukars, those are red-legged partridge and not from a game farm, just running around wild. The only bird that was close! 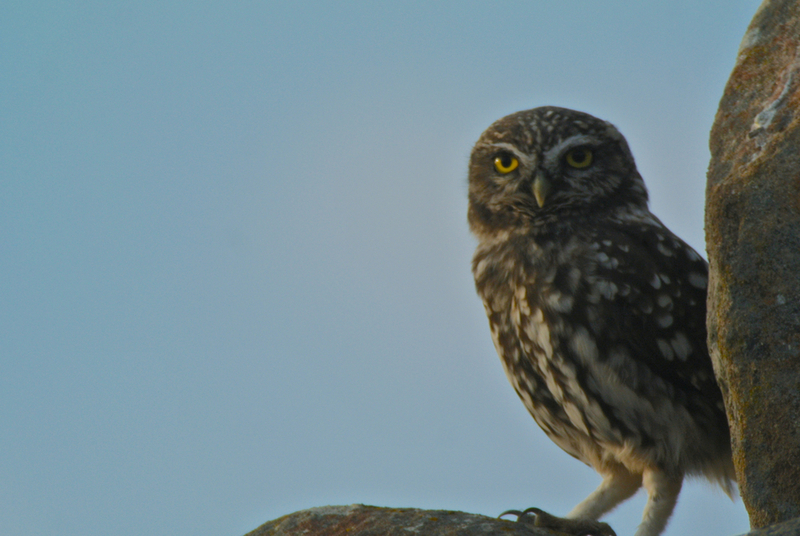 My lifer little owl. It was right next to the car and if any of us got out it would have flown of. This was digiscoped at sunset with me leaning my ATX 65mm on the open window of the car and digiscoping with my Nikon V1. There were easily 300 utter crap photos that preceded this one just barely in focus. Though often distant, we really racked up some cool birds including corn bunting, marsh harrier, azure-winged magpie and black-bellied sandgrouse. Our first stop gave me three lifers right off the bat: stone curlew, little bustard and great bustard. We even got to see the great bustards fly and let me tell you, that is a weird bird to see in the air. It's about half the size but the similar shape of an ostrich and glides high above the trees. Though we are birders, we are interested in all things natural. A puddle in the middle of the road yielded some fun. The birds may have been far away but our group found a puddle with all sorts of fun, mostly dragonflies. I have a tendency to roll my eyes when a birding trip gets railroaded for dragonflies, but I was desperate to digiscope and well, dragonflies would do in a pinch. The big excitement was in the form of a pair of red-veined darners mating and ovipositing some eggs in the puddle. We set up our respective cameras and noticed a frog next to them. I thought I would play around with filming in SloMo on my iPhone...and got quite q surprise! I'm not sure what the species of frog or snake is but what a treat to find so much life in one small puddle. Did you notice how the dragonflies saw the snake right before it approached and lifted up right before it was in the frame? Cool. Panorama of Mértola which was a delight not only for seeing a few more specie of bird, but for a quick tour through history. On the right is the town, on the left is a castle and the surrounding yards of a Catholic church which was built on top of a 12th century Muslim town which was built on top of some 5th century roman ruins. Mértola was the perfect lunch stop. Not only did we have a fabulously fresh tomato salad, but I was introduced to "grilled cheese" with homemade pumpkin spread on toast. Inside the Catholic church in Mértola...do you see the bird? We stopped for lunch in the town of Mértola and were offered a quick tour of the church and archeological sites. While getting a tour of the church, several of us were immediately distracted by a bird perched just above the alter. One of the most challenging digiscoped images I've ever done. Hand holding my iPhone 5s up to my binoculars to try and get a shot of a crag martin. It was a crag martin just hanging out. Half of us lost interest in the finer details of architecture inside the church with this brown bird. Ah birders, we are a funny tribe. Old Muslim village excavated outside the church. But when they took us behind the church, they showed us the archaeology going on and how the grounds were built over an old Muslim village. As our guide pointed out the reasons why the towns were short who lived where, random pots, jugs and stones were strewn along our walkway. How weird to be able to touch something built and used in the 1100s. Our guide informed us that as they were excavating the town, they uncovered some roman ruins. That really knocked my socks off. Oh hey, no biggie, just some 5th century Roman mosaics. As the tour continued with the Roman ruins, we could see where parts of the Muslim town built on top of it used old Roman columns to fill in parts of their town. History piled on top of history piled on top of history. How fleeting we all are and who will build on top of us some day? If you find yourself in Portugal, I would put this beautiful, steep cobblestoned town your list to visit and make sure to sign up for an archaeology tour. The view of Lisbon from outside our hotel in Alchochete. One truly can go birding anywhere and though Portugal was not on my list of places to visit, I'm glad I had the opportunity. If Non Birding Bill had been along, he wouldn't have like the mosquitos along the estuary or the all day birding excursion, but he would have had a good time at some of the historical sites. Portugal does offer something for everyone.